Enjoy southwestern Nebraska´s scenic Lincoln County when you reserve a guest room at our pet-friendly North Platte, Nebraska hotel. The area has plenty to offer in terms of dining, shopping, outdoor activities and more. 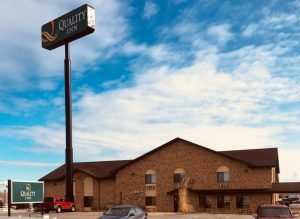 Our North Platte, Nebraska hotel is ideal for everything from family getaways to traveling for work. Plus, you can earn rewards, including free nights and gift cards, with the Choice Privileges® Rewards program. Stay at our vacation hotel and enjoy all the area has to offer.